Last night was a great night! The best of all the Social Media Nights with the Orioles I have ever been to. And to think I was disappointed they moved it inside the Warehouse and was annoyed they didn’t cancel it because of the rain. This was the first time Cindy, my best friend, went with me so right off the bat (no pun intended) it was sure to be the best event yet. For the Q n A session, the Orioles lined up Infielder Tim Beckham and MASN sports writer Roch Kubatko. Because they moved the party inside (it is always out on the Centerfield Rooftop Deck Bar), they announced there would be a special guest, an Orioles Legend, for us to taking photos with. Of course in my mind I thought it was going to be Brady Anderson, but he is only a legend in my mind – an Orioles Hall of Famer, but not a MLB Hall of Famer. The party started at 4:30, but with traffic and the rain and getting off work we didn’t get there until almost 4:45, which was fine because we didn’t miss anything. We got our free Orioles lanyard, $10 gift certificate for the Orioles store, free Tim Beckham tee shirt, two free drink coupons – and of course there was a buffet of burgers, hot dogs, sausages, cole slaw, baked beans, chips, cookies and watermelon. Now I say ‘free,’ but it actually cost $60 each ($70. after all the bs charges), but that included our ticket to the game so not a bad deal at all. We got our food and sat down at a table right in front of the seats where the guests would be coming out shortly. We originally sat at a table in front of the photo ‘booth,’ but then realized we should be sitting in front of the two chairs that were set up. As we were finishing our food, in walks Tim Beckham – the Orioles current second baseman. I have to admit I had no idea who he was because I have not watched a game all season and to be honest I haven’t truly followed baseball since Cal Ripken and Brady Anderson retired, but I still go to the games for special events and such. I was VERY impressed with Tim Beckham. He was SO much better at Social Media night than Adam Jones was back in 2014 – click here for all the gory details from that awkward night. Tim was happy to be at Social Media Night, happy to be with the fans, likes Baltimore and its food. Tim was a fun interview and a great guy to answer questions from the fans. MASN Sports Writer Roch Kubatko was next and also did a great job with the Q n A – he’s always very entertaining. I was enjoying seeing my photos from Instagram (and/or Twitter) up on the big screen during the party – and I think the game. The Oriole Bird came out next, no interview of course but he just worked the room in his usual entertaining fashion. Sadly, we didn’t get a photo with him … not yet anyway. Then it was time. Time for the ‘Special Guest’ – the Orioles Legend. I was nervous and excited. 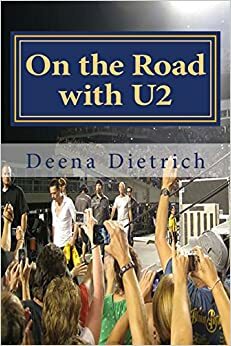 I was looking for him in the entrance behind me where Tim and Roch had walked in, but instead he walked through the door on the opposite side of the room. They announced, “Former Orioles First Baseman Hall of Famer EDDIE MURRAY!” The crowd went wild! Chanting, “EDDIE! EDDIE! EDDIE” No one expected it to be Eddie. We thought maybe Brooks Robinson, maybe Brady Anderson, maybe Rick Dempsey, maybe Jim Palmer, maybe Boog Powell. It’s funny though because right before Eddie came out, the camera man was filming Eddie’s framed jersey on the wall. And I thought to myself, no way – he’s probably just testing out the camera. 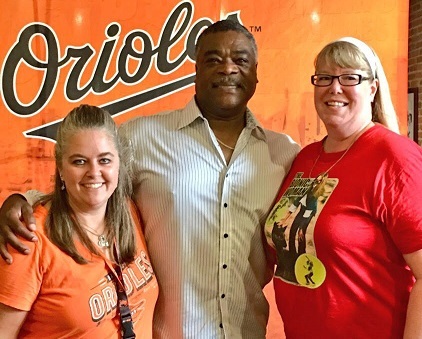 To say I was excited to see Eddie Murray walk through that door is an understatement – and so was Cindy and so was everyone! Shocked and excited! Yes of course I wanted it to be Brady, but I have met Brady several times and I have my picture with him a few times. But I have never met Eddie Murray, and he was my favorite player when I was little. Then as an adult, I was there in 1996 when Eddie hit his 500th home run – a day and a year after Cal broke Lou Gehrig’s consecutive game record. And I was there in 2012, sat through a LONG rain delay, for Eddie’s Statue Unveiling and Legend Ceremony. Eddie briefly talked about how he had to get used to the “EDDIE! EDDIE! EDDIE!” chant – see video below. It was finally time to get in line to get our photo with Eddie Murray! I was so nervous and excited and sweating and pulling Cindy through the crowd because I just couldn’t wait any longer! Literally everyone in the room was wearing orange Oriole shirts except for me. I was wearing my red Bionic Woman shirt. When I got up to meet Eddie and get my photo with him, I shook his hand and told him how excited I was to meet him and he was my favorite when I was little. He looked at my shirt with a puzzled look on his face and said “The Bionic Woman?” I said, “Yes! The Bionic Woman!” Then we took the photo – one of the Orioles workers took a photo with my phone and with Cindy’s phone since we took the picture together. My phone case is Elvis. 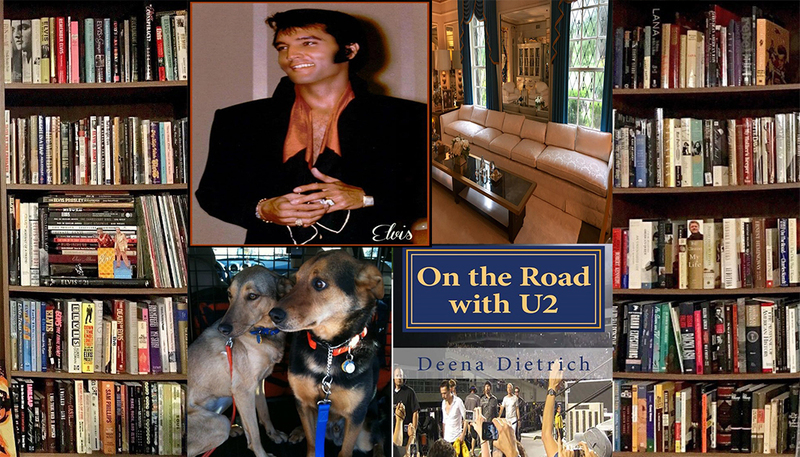 While we were posing, Eddie said, “Is that Elvis?” I said, “Yes! That’s Elvis. That’s mine!” He said, “I thought my eyes were getting old?” Then I thanked him for taking the time to come there and meet all of us, and Eddie took my hand again and my put my hand over top of his. I was all a flutter! What a sweetheart Eddie is! A complete 180 from when he was playing and didn’t really like giving autographs or taking photos with the fans. Once the Orioles players (Eddie, Cal, Billy, Al Bumbry etc) played the Centennial High School teachers in a basketball game. I wasn’t in high school yet but we went (I think I was in elementary school). I was SO excited to see Eddie, but he completely ignored me – and all the kids actually. It just wasn’t his thing. But he more than made up for it last night. Eddie was sociable and happy and joking with everyone. Brady was the same. When he played, he really didn’t interact too much with the fans or when he did he acted like he didn’t like it. But now that he’s retired, Brady is like a completely different person. He is happy and joking and more than generous with his time. About fifteen minutes before the game was supposed to start, the tarp was off the field and the party was ending so we went down into the stadium. We went into the Orioles store, so I could spend my $10 Gift Certificate (because let’s be honest I don’t plan on coming back anytime soon). With it, I bought an large orange Cal Ripken Tervis Tumbler – it was $25 but with my gift certificate I got it for $15. Thanks Orioles! We took our seats, or our stools actually, up on the Centerfield Rooftop Deck Bar. I love the view from up there, and it’s not crowded (not that anywhere was crowded last night), but there is plenty of leg room and you’re not smushed up against someone. It kept raining though – just drizzling on and off. So we kept going back to sit at a table under cover in the bar area. One of the times we went back there, the Oriole Bird came up. We finally got our photo with him! He wanted to sit at our table with us, and we had a beautiful city background for our photo. Tim Beckham hit a home run and put the Orioles ahead in the 5th inning. Then it really started to rain and the game went into a rain delay, so we headed for the car. The Orioles held onto their lead for their 29th win of the season. Click here to see all my photos from #BirdlandSocial!